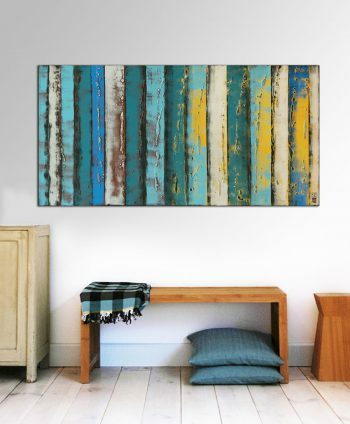 Add a colorful touch to your interior style with this beautiful large abstract painting. A minimalist design, primarily white, with hints of blue and yellow. With quick brush strokes and through multiple layers of paint and texture Ronald aims to create a sense of depth. 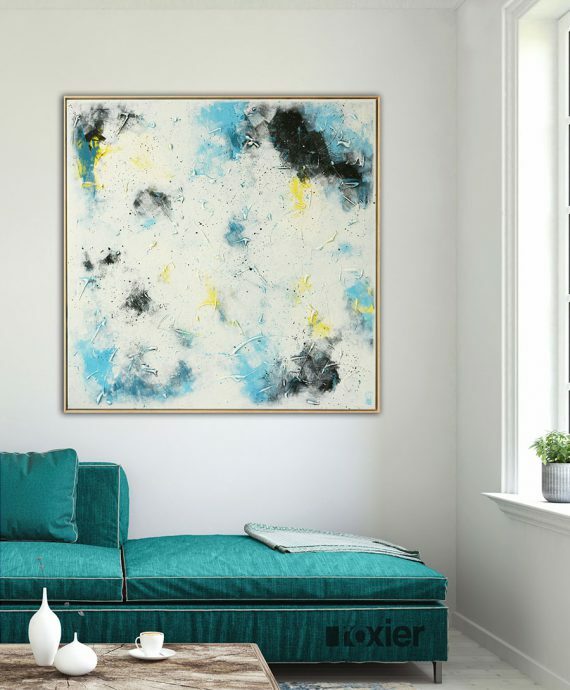 This elegant artwork will freshen up your interior style. This large white painting comes with a natural oak frame (edge style). Shipment: Orders are shipped several times a week. Please allow 3-5 business days to prepare the order for shipment. Read all about our shipping policy here . 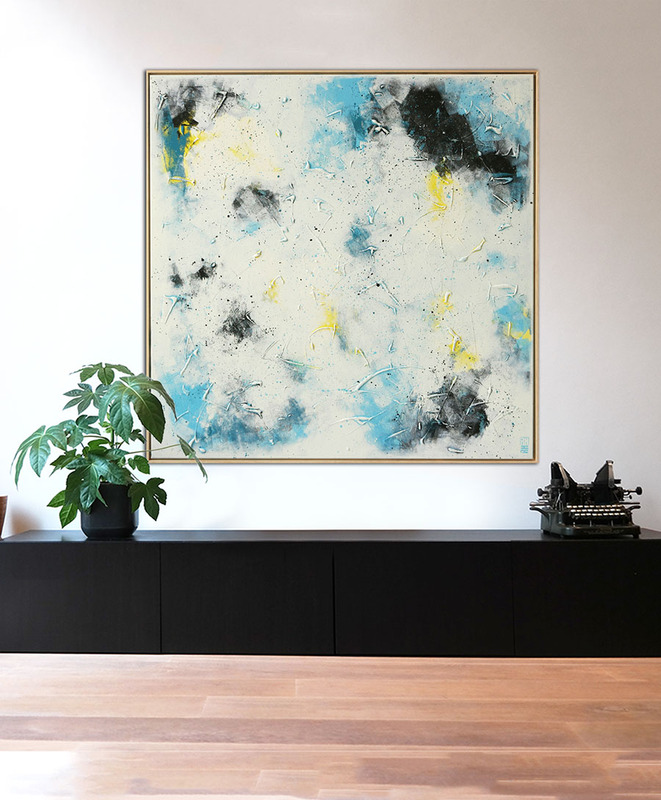 Large White Painting – White on White. Hand painted by Ronald Hunter. 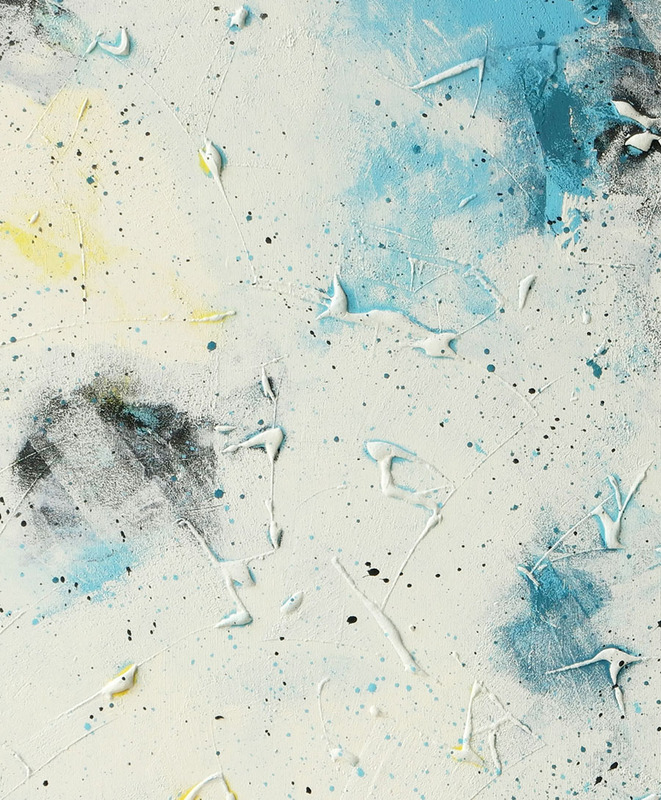 Acrylic paint, with light texture. 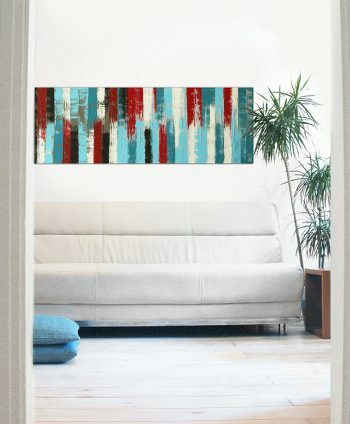 Add a colorful touch to your interior style with this beautiful large abstract painting. 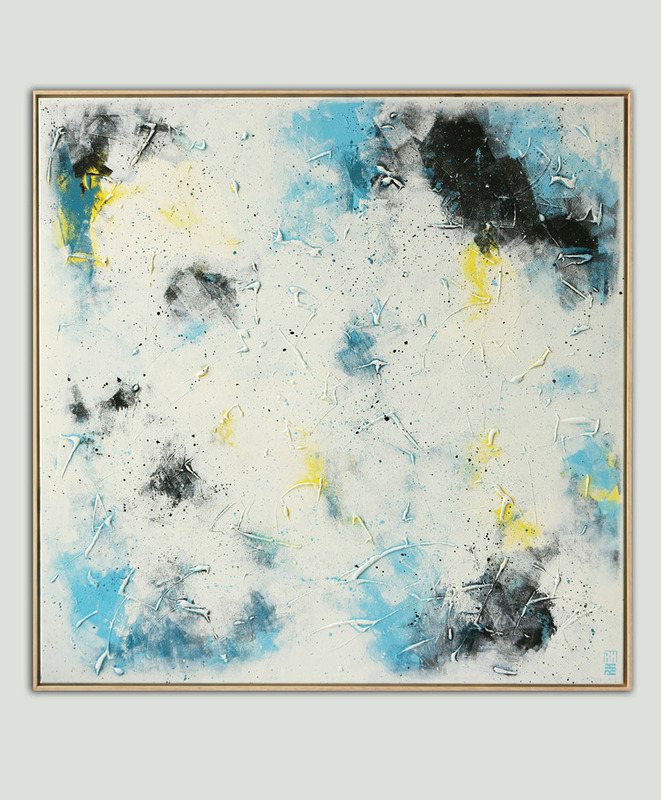 A minimalist design, A minimalist design, primarily white, with hints of blue and yellow. 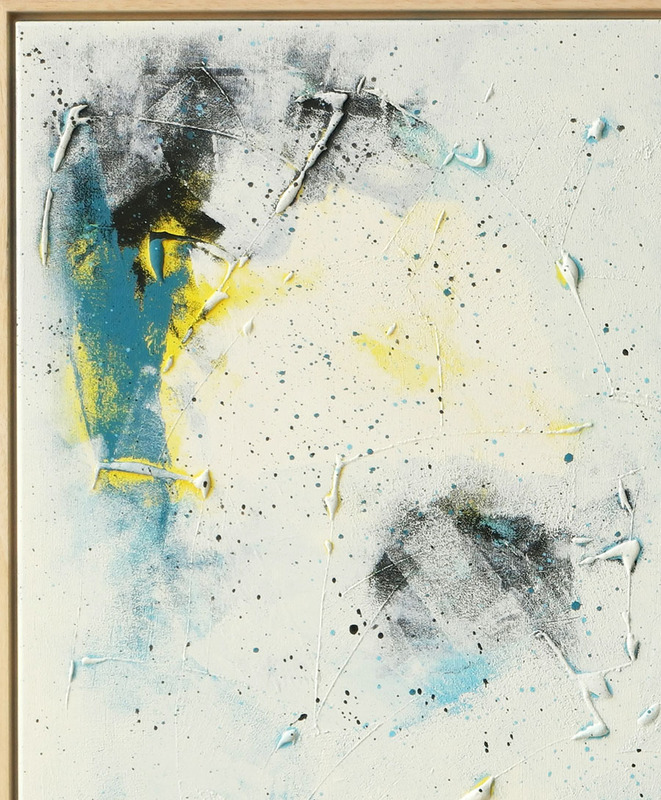 With quick brush strokes and through multiple layers of paint and texture Ronald aims to create a sense of depth. 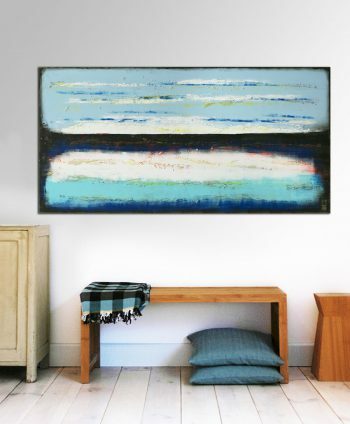 This elegant artwork will freshen up your interior style. 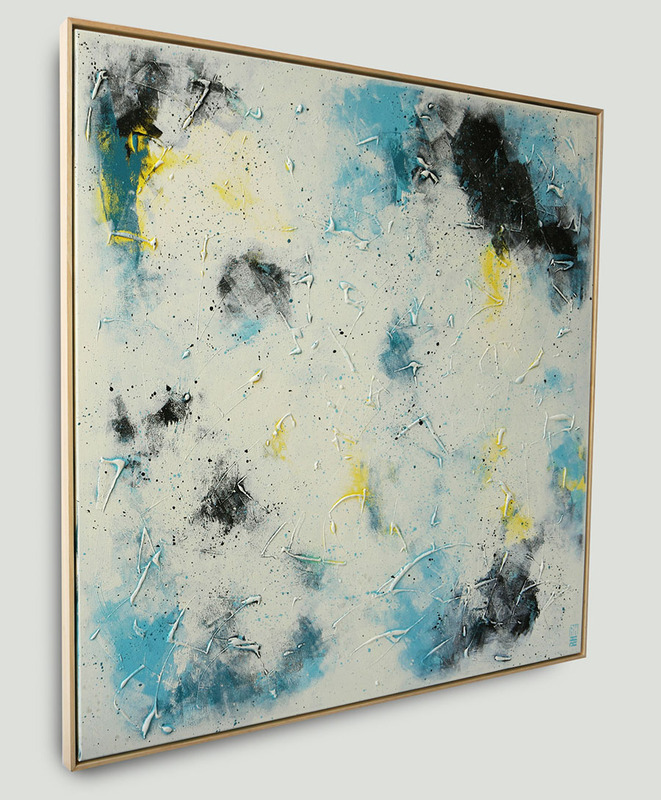 What is more, this large white painting comes with a natural oak frame (edge style). This is a one of a kind artwork, created and painted by Ronald Hunter. 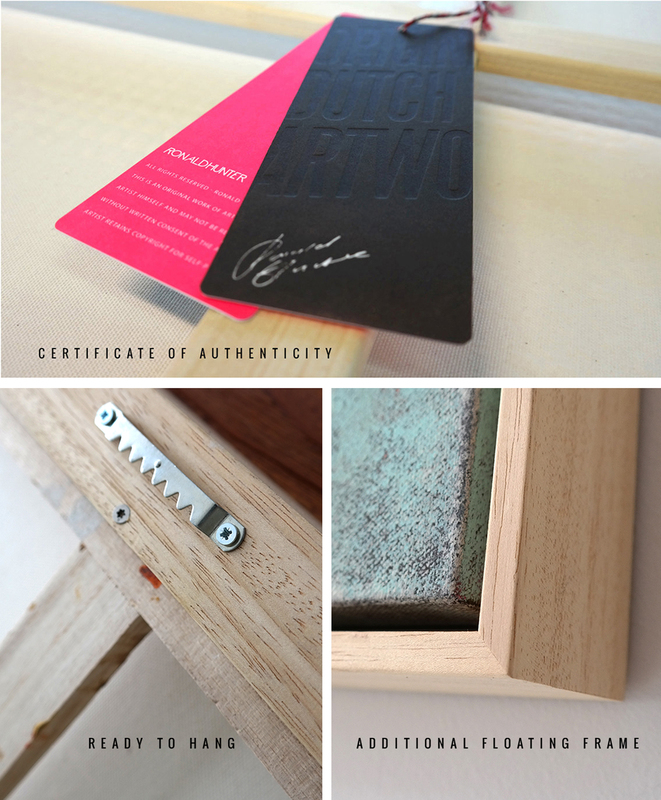 First off, all paintings are signed on the front (with RH initials) and also on the back of the painting. 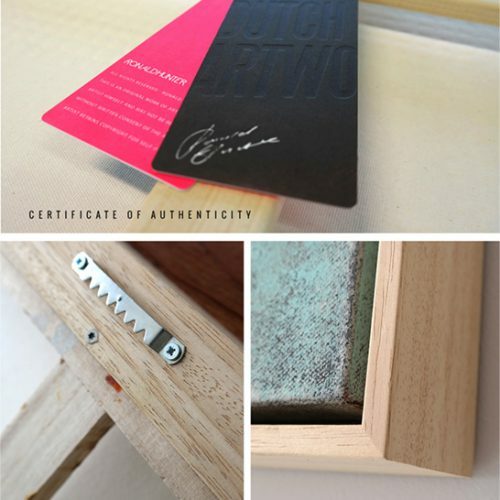 Also, each painting comes with an official Ronald Hunter Certificate of Authenticity attached to the back of the painting.